Paris (AFP) - France said Sunday its stretched military would pull out of the troubled Central African Republic as it fights on multiple foreign fronts and is increasingly called on for anti-terror operations at home. 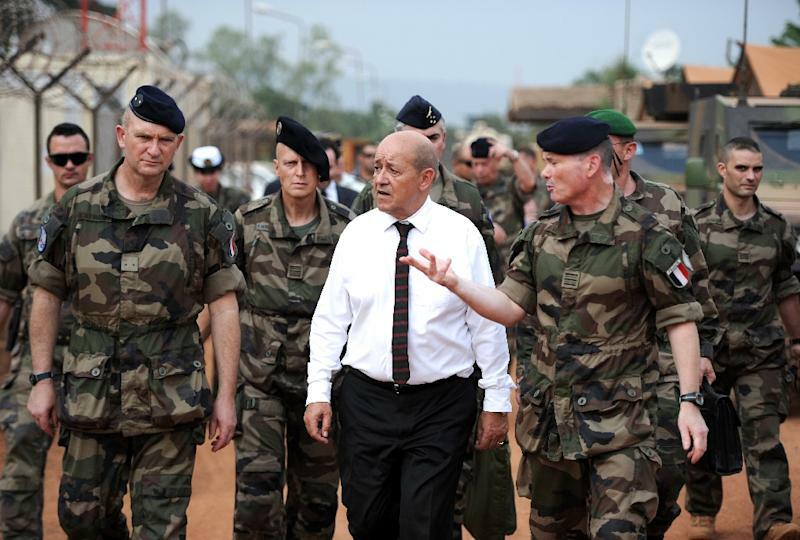 Defence Minister Jean-Yves Le Drian told French media on Sunday that the government was aiming to wind down Operation Sangaris, the military operation it launched in CAR in December 2013 at a time when thousands were dying in brutal ethnic violence. "The aim is to bring Operation Sangaris to a halt. I hope this is done during 2016, with small units remaining on Central African territory as was the case beforehand," Le Drian told French media. He said he wanted the force reduced from its current level of 900 soldiers to around 300. At its peak France had some 2,500 soldiers deployed, mostly in the capital Bangui, supporting around 10,000 UN peacekeepers. 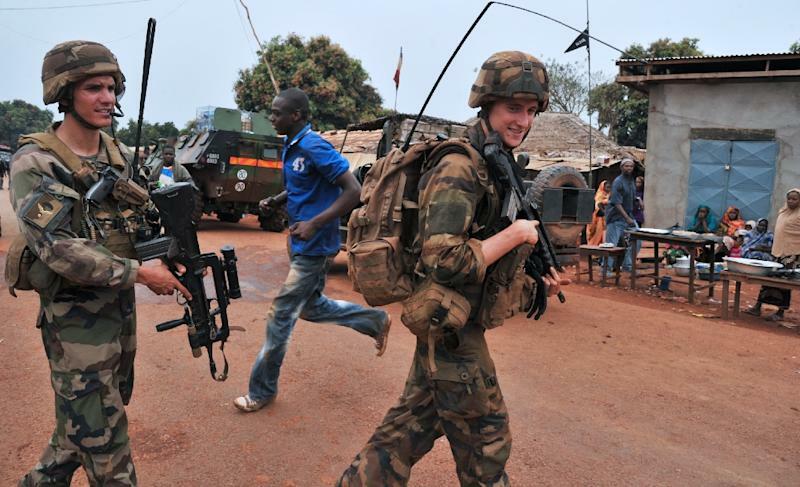 But with violence down and presidential elections underway, France is eager to redeploy its troops, who are increasingly needed to combat jihadist forces in the Middle East and other parts of Africa. It also needs manpower in mainland France, where around 10,000 troops have been deployed to protect sensitive sites following terror attacks in Paris last year. International operations in CAR have been dogged by sexual scandals after a slew of accusations of child abuse against French and UN troops. Fresh allegations of child sexual abuse surfaced on Friday. Le Drian has ordered an investigation into the new cases, which are said to date to 2014 but have only been discovered in recent weeks as a result of a UN probe. French soldiers are already being investigated in their home country over allegations they forced children in CAR to perform sexual acts in exchange for food. Le Drian also said on Sunday that he hoped the European Union would agree to train a Central African Republic armed force when the bloc's defence ministers hold informal talks on February 3 and 4 in Amsterdam. The CAR plunged into chaos in March 2013 when mostly Muslim Seleka rebels ousted President Francois Bozize, a Christian, and installed their leader Michel Djotodia in power for 10 months. A transitional government was installed under international pressure in early 2014, and a presidential run-off election is due to take place on February 14, pitting two former prime ministers against each other. 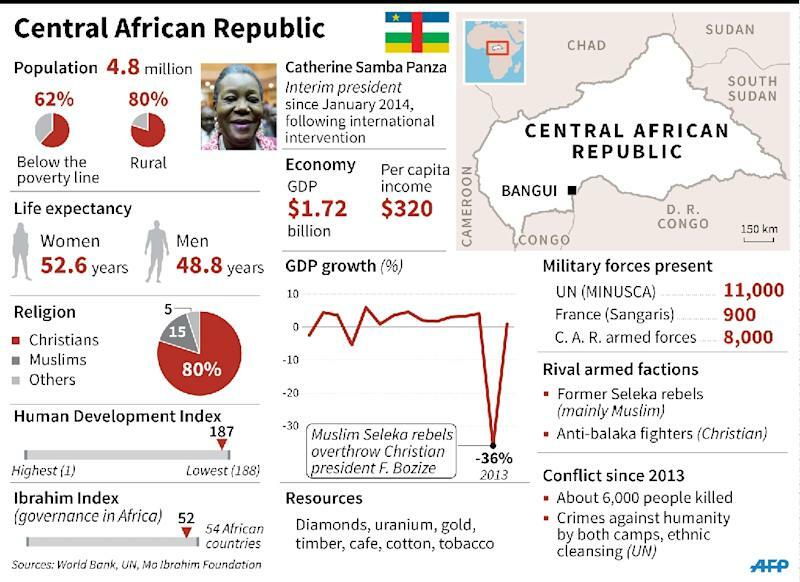 Experts and Central African leaders have criticised Operation Sangaris for failing to disarm all armed groups, as they vowed at the start of the mission. Although relative peace has returned to Bangui, this is partly the result of the extensive ethnic cleansing that led many targeted groups to flee the capital. Meanwhile, powerful warlords and criminal gangs continue to hold power over vast stretches of the desperately poor country.